Will Birmingham have an inaugural franchise in Major League Football? Will Birmingham play in Major League Football? A proposed spring football league, Major League Football, announces they are targeting Birmingham as a site for one of their inaugural franchises for their first season in 2016. MLFB’s management has identified Legion Field as a venue around which MLFB intends to staff its Birmingham franchise with local employees to manage the team. As part of Major League Football’s strategy, the company’s approach in Birmingham also includes a series of community-centric outreach programs to help build a fan base, support local businesses, and develop football talent in the surrounding area. MLFB has begun contacting potential host venues across the country to establish cities that will become the inaugural season team sites. MLFB will review the venues in those cities, evaluate fan and local business support and other criteria to determine the cities that are the best fit for a MLFB team. Birmingham joins Eugene (OR), Little Rock, Norfolk, and Orlando as the first five target cities. The MLFB hopes to announce another five venues over the next several months. 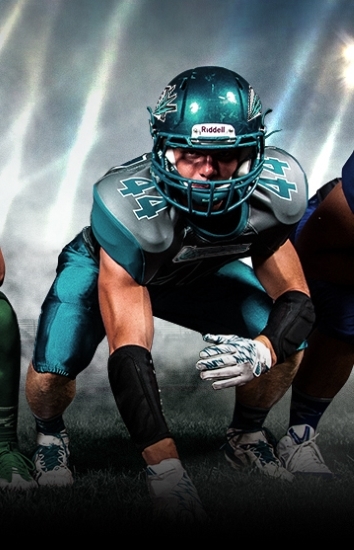 MLFB is one of the first publicly owned professional sports leagues in the United States enabling fans to purchase and sell shares for their desired ownership in the league. League coaches appear to be Dave Campo, Charlie Collins, Ted Cottrell, Robert Ford, Wayne ‘Buddy’ Geis, Galen Hall, Larry Kirksey, and Chris Miller. No announcement was made but Ted Cottrell appears to be Birmingham's head coach. Most recently, Cottrell was the head coach of the United Football League's New York Sentinels in 2009. Prior to the UFL job, which was his first head coaching position, Cottrell has been a defensive coach for numerous National Football League teams. His NFL stops include the Kansas City Chiefs (1981-1982), Buffalo Bills (1986-1989, 1995-2000), Phoenix/Arizona Cardinals (1990-1994), New York Jets (2001-2003), Minnesota Vikings (2004-2005), and the San Diego Chargers (2007-2008). Cottrell coached in the United States Football League in 1984-1985 as a defensive line coach for the New Jersey Generals. 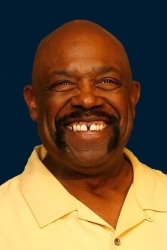 He has also been a defensive coach at the college level, working for Rutgers University (1973-1980, 1983). Based on filed trademarks, there are 10 teams. However, the league's website only mentions eight; Alabama Airborne (Birmingham), Arkansas Attack (Little Rock), Florida Fusion (Orlando), Ohio Union (Akron), Oklahoma Nation (Oklahoma City), Oregon Crash (Eugene), Texas Independence, Virginia Armada (Norfolk). The two other teams with trademarks are Northwest Empire and Utah Stand. Schroeder-Manatee Ranch has filed suit to evict the financially troubled Major League Football from its offices at Lakewood Ranch. The suit filed Wednesday states that MLFB was served with a three-day notice to pay rent and other charges on June 16. As a result of the failure to pay, SMR asserts it is entitled to immediate possession of the premises. According to court papers, Major League Football failed to make its rent payment in March, April, May, and June. The rent payment for the 9,696 square feet of office space is $11,918 per month. The league announces that Jerry Craig has committed to become majority shareholder and president/CEO of Major League Football. Craig is president and CEO of Compass Creek Capital in Huntington Beach. His wife, Kris Craig, a Compass Creek co-owner and MLFB partner, will serve as chief marketing officer. Originally set to open play last spring, the league postponed its debut when a major investor backed out. The league will still have eight franchises, with Birmingham and Montgomery being considered along with Little Rock, Round Rock, Canton, Memphis, Salt Lake City, Portland, Denton (TX), Shreveport, Albuquerque, and a city in Florida. Major League Football never played a single game, despite an updated website that claims they will be "coming soon".